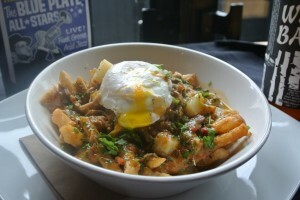 Welcome to the 2nd annual Vancouver Foodster Poutine Challenge. 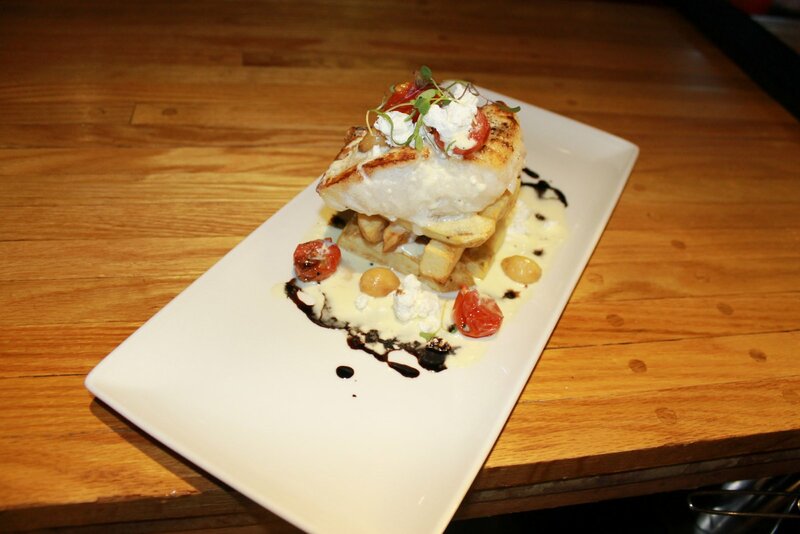 I have invited restaurants from all over the city to enter their poutine into this challenge, some restaurants have their poutine on their menus and others have created a special poutine just for this challenge. 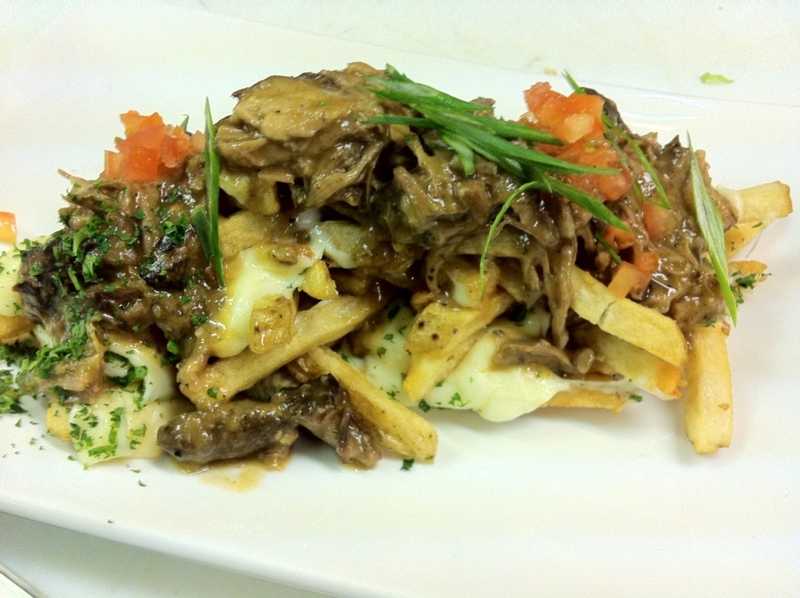 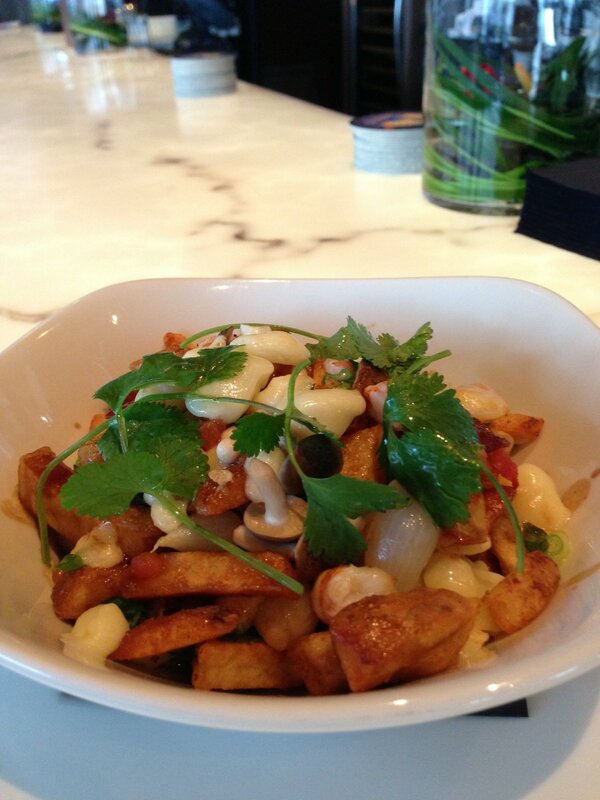 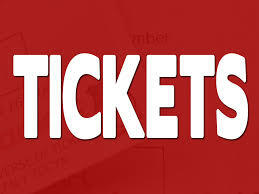 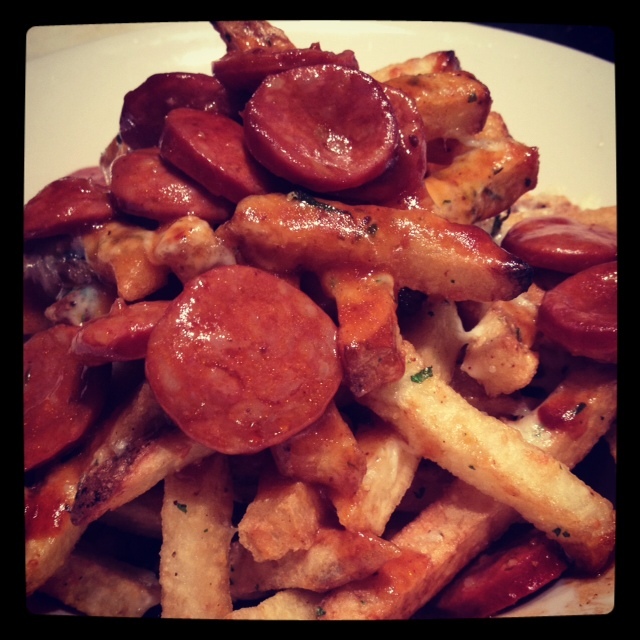 Each restaurant will be featuring their poutine on their menu from February 5-28, 2013. How Does this all Work? 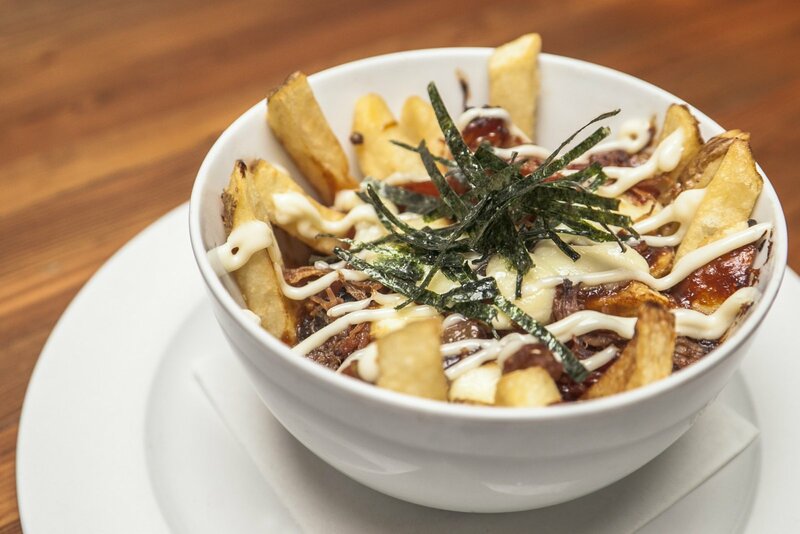 Well, this is a public challenge, you are invited to go out and order any or all of the poutines in this challenge, then you decide who you think has the best poutine creation. 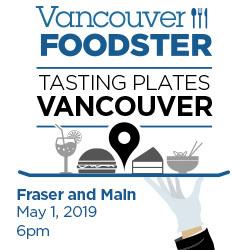 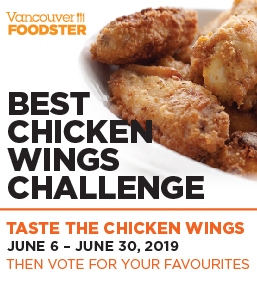 Share your experiences: Tweet (and don’t forget to tweet or instagram your photos) throughout the challenge, our twitter address is @vanfoodster and the hashtag is #PoutineChallenge please include this hashtag in all your tweets during the event. Voting criteria – some things to help you judge your favourite poutine’s – keep these things in mind: originality, creativity, uniqueness, traditional, non-traditional, price, value and most importantly taste. 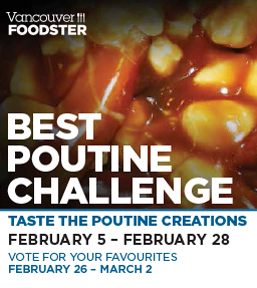 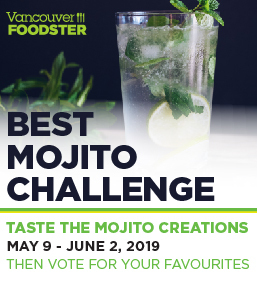 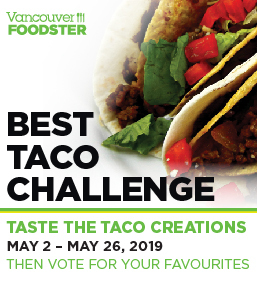 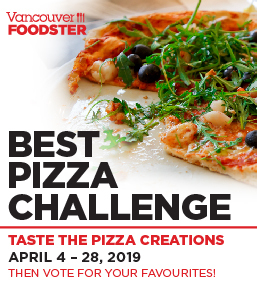 Get some friends together and make a night of it, visit 3 restaurants or more to share and taste the different poutines or go solo or with a friend – just remember to VOTE for your favourites between February 26 – March 2nd. 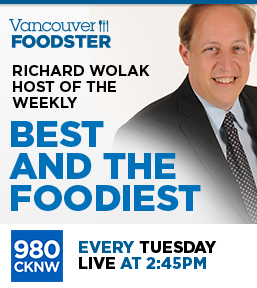 Watch –> Richard Wolak interviewed on CBC News “Poutine Challenge” last year. 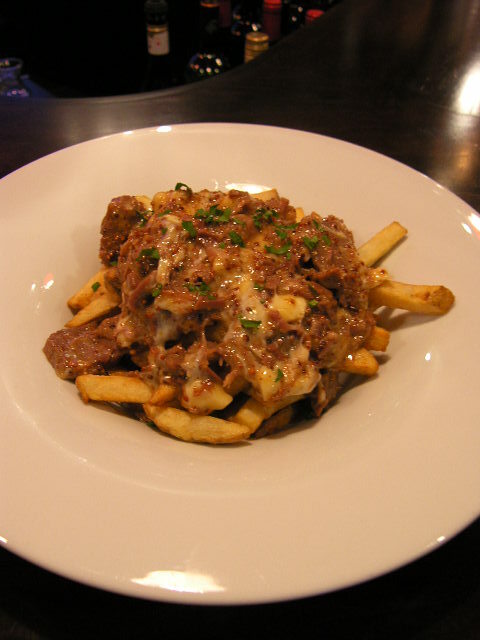 Here are the 21 Poutine dishes in this challenge, listed in no particular order other than when they were received by us. 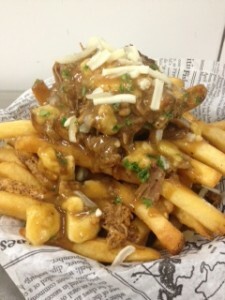 Description: Home chipped Kenebec fries steeped in wet hopped wheat ale, fried crisp, tossed in garlic and seasoning and sea salt, topped with gravy, cheese curds and chopped green onions. 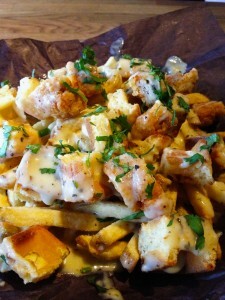 Offered: Not a regular menu item, created just for this challenge at lunch and dinner! Offered: Nightly between 5 pm and 1 am. 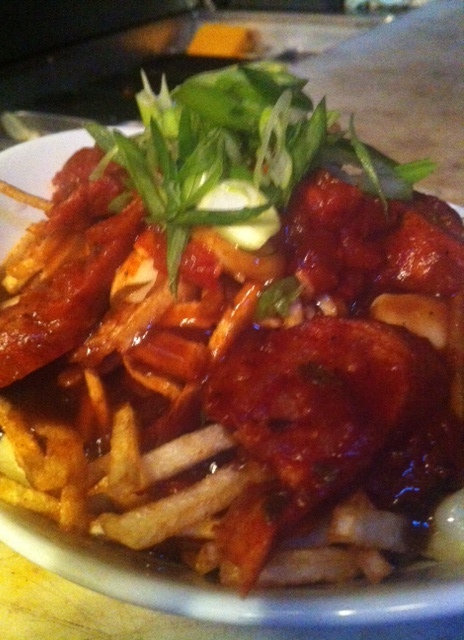 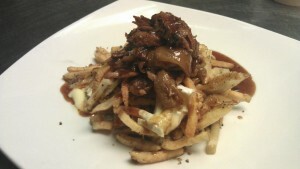 Description: Patat Frites, curds, pulled pork in a piedmont sauce, house made beef gravy and green onions. 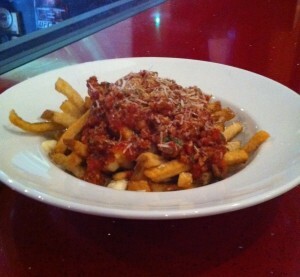 Description: Angus beef and Fraser valley pork slow cooked ragout, san marzano tomatoes, served on our triple cooked fries, with fiore di latte, and granna padano. 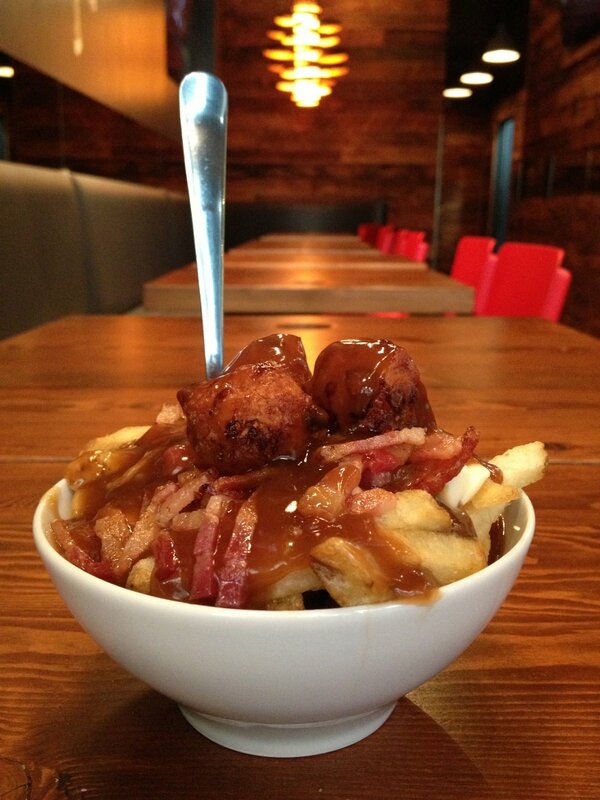 Offered: Daily after 4 pm. 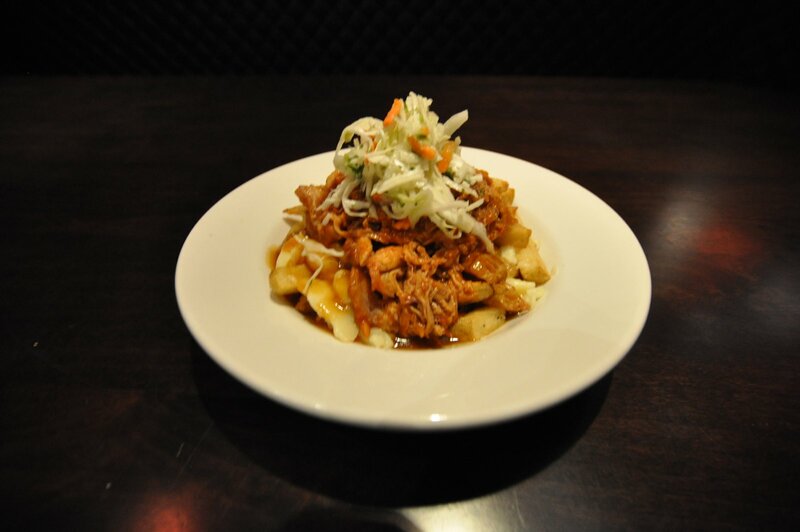 Description: Crispy hand cut Kennebec French fries and cheese curds, smothered with eight hour slow-cooked, succulent pulled pork and our famous BBQ gravy, topped with Dunn’s famous coleslaw. 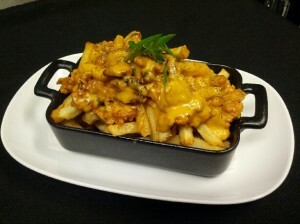 Description: Fresh cut Knennebec shoestring Fries, House made Chesse Curds, House made Smoked roast chicken and veggie Gravy, Falconetti’s signature Crumbled Charice Sausage, and Spiced Tomato Jam. 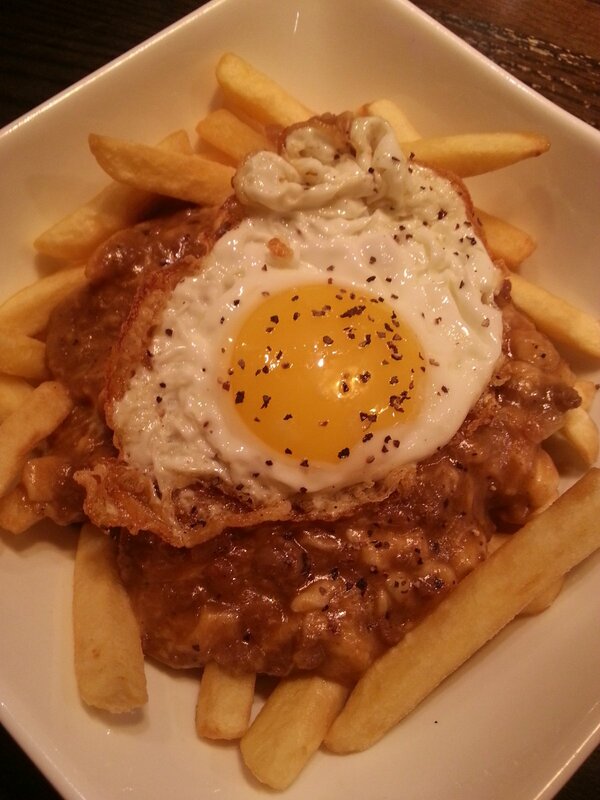 Description: Crispy Fries, ground beef, black pepper gravy, cheese curds, & topped with a fried egg. 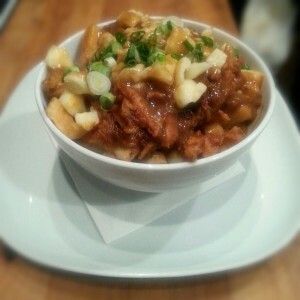 Description: Smoked Pulled Pork in a Smoked Bourbon BBQ, Cheese curds and a Chicken Gravy, Garnished with shredded Mozzarella and chopped parsley. Offered: Served all the time. 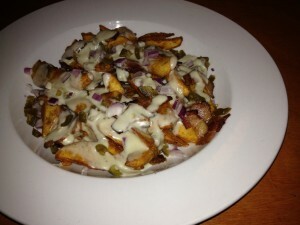 Description: Cajun Wedge fries topped with bacon, jalapeños, red onion, green onion and smothered in Gorgonzola sauce. 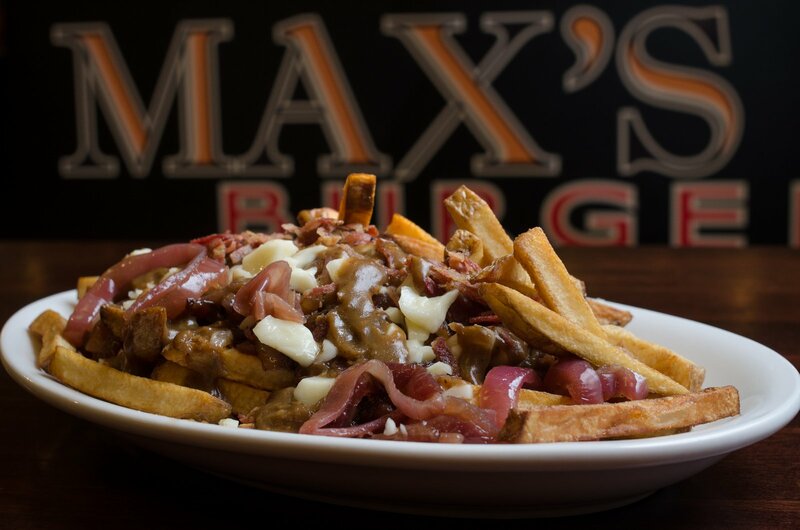 Description: Fresh BC Kennebec Potatoes, chipped in-house and served extra crispy, layered with house-made beef gravy, fresh local cheddar cheese curds, crumbled herb-crusted local bacon, and carmelized red onions. 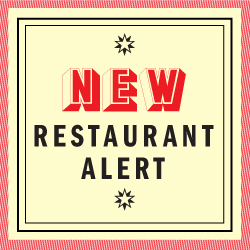 Offered: Lunch and Dinner daily. 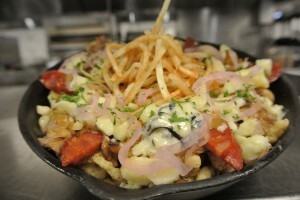 Description: tender smoked pork, cheese curd and mozzarella. Fresh herbs and beer gravy served on house made fries. 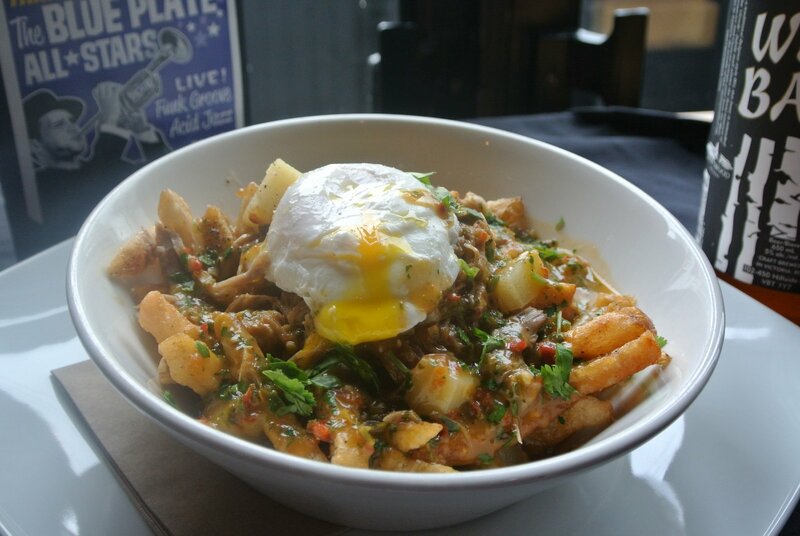 Description: slow braised pork, house jerk sauce, aged cheddar, country gravy topped with a poached egg.